These days everything seems to be about speed. Learn fast, publish fast, fail fast! Well, here’s the lowdown on faster ways to punctuate and format in Microsoft Word. 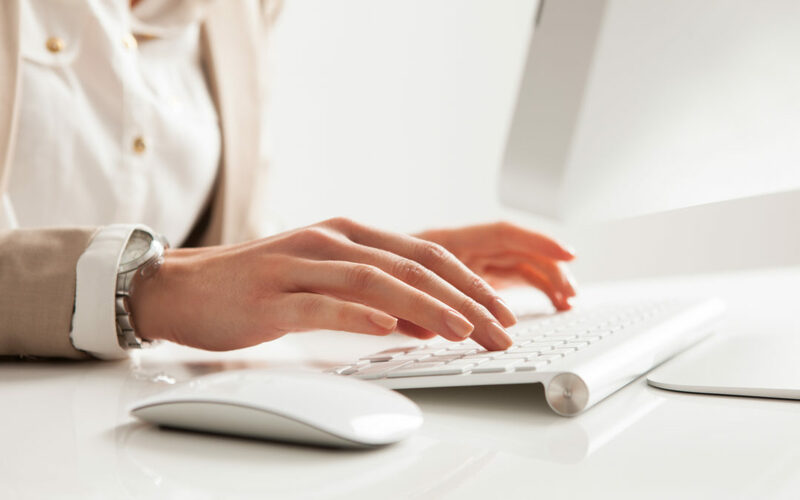 From keyboard shortcuts to macros, learn how to get your work done quick smart. Punctuation is the bane of the digital generation. But without it, the meanings of important communications can be lost or misinterpreted. A frequent point of confusion is when to use an en dash or em dash. In her marvellous book Eats, Shoots & Leaves, Lynne Truss points out that the word dash ‘has identical roots with the verb “to dash” (deriving from the Middle English verb dasshen, meaning “to knock, to hurl, to break”)’. While an en dash joins (or ‘hurls’) two related values together (for example, ‘on pages 1–5’), an em dash is usually used to indicate a sudden break in thought — just like this! Although the Australian Government Style manual recommends this approach, most publications in Australia use the en dash for both purposes. In any case, knowing a no-fuss way to drop in an en dash or em dash in Microsoft Word can be a great help, especially in long documents. The good news is that Microsoft Word can create an en dash or em dash automatically while you type. The en dash is automatically inserted when you type ‘word-space-hyphen-space-word’, such as ‘back – forth’. However, if you’re editing a document, it’s not always easy to find the correct dash. The solution is to create keyboard shortcuts. Just follow the steps below (some steps may differ depending on the version of Word you’re using). Go to Insert > Symbol > More Symbols. Click on the ‘Special Characters’ tab, choose the em dash character, click ‘Shortcut Key’, then enter a combination (such as ‘Alt+M’) and click ‘Assign’. Follow the same steps for the en dash, entering a new shortcut such as ‘Alt+N’. Another way is to use the number pad on the right-hand side of a full keyboard. Press ‘Ctrl+minus (-)’ for the en dash and ‘Ctrl+Alt+minus (-)’ for the em dash. Go to Insert > Advanced Symbol. Click on the ‘Special Characters’ tab, choose the em dash character, click ‘Keyboard Shortcut’, then enter a combination (such as ‘Command+M’) and click ‘Assign’. Follow the same steps for the en dash, entering a new shortcut such as ‘Command+N’. Mac users can also press ‘Option+hyphen (-)’ for the en dash and ‘Option+Shift+hyphen (-)’ for the em dash. You can also create your own macros to simplify repetitive tasks. A macro records a sequence of commands that can then be activated through a keyboard shortcut or the macro button. Open a blank document in Word. Go to ‘View’, click the drop down menu under ‘Macros’, then select ‘Record Macro’. Create a name for your macro, then select where you would like to keep it – I store mine on the keyboard, using ‘Alt+P’. Once you’ve saved your macro, it will automatically start recording. Remember that every keystroke you make from now until you press stop will be recorded. ‘Replace All’. What you have done is instruct the computer to replace all paragraph marks with a space. Next, remove ^p in the ‘find’ text box and replace it with a full stop. In the ‘replace’ text box, remove the space and type a full stop followed immediately by ^p. Now select ‘Replace All’. Close the ‘Find and Replace’ window, then navigate to the drop-down menu under ‘Macros’ and select ‘Stop Recording’. This macro tells the computer to remove errant paragraph marks, justify the copy and follow each full stop with a paragraph mark. It’s also useful if you would like to add paragraphs to break up large slabs of text. But be aware that it also affects decimal points. Once you get the hang of it, you will be able to create all manner of macros to simplify tedious tasks.